It’s a political truism – one with evidence in more than half a century of Presidential contests. Since 1960, every elected President has won the state. But Ohio’s political history is not why we chose it as the main location for “WHERE WE STAND.” Instead, we chose it because – as much as one state can – it seemed to best represent the American educational experience. 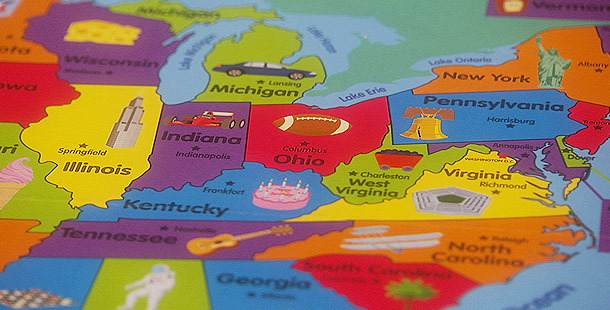 Ohio is the most densely populated state in the Midwest, and its geographic diversity – which ranges from the more affluent suburbs of Columbus to the rural, economically-strained swathes of Appalachia – makes for an extremely varied school system. In addition, Ohio’s political and educational leaders are putting a major emphasis on improving that system. Specifically, they want to prepare Ohio’s students to compete in a global economy. It’s an aggressive approach to education – but one that’s producing results. In the past 20 years, the state’s schools have risen from a ranking in the middle of the nation, to 7th. Student test scores have improved by 25 percent, and the number of fourth-graders who passed the state reading test has almost doubled to 80 percent.